Director Zack Snyder posted the following poster for the Batman v. Superman: Dawn of Justice Ultimate Edition film on the Vero app, the movie he directed following Man of Steel in 2016 starring Ben Affleck, Gal Gadot and Henry Cavill. "This is what I had on hand, is it high res enough," Snyder posted. 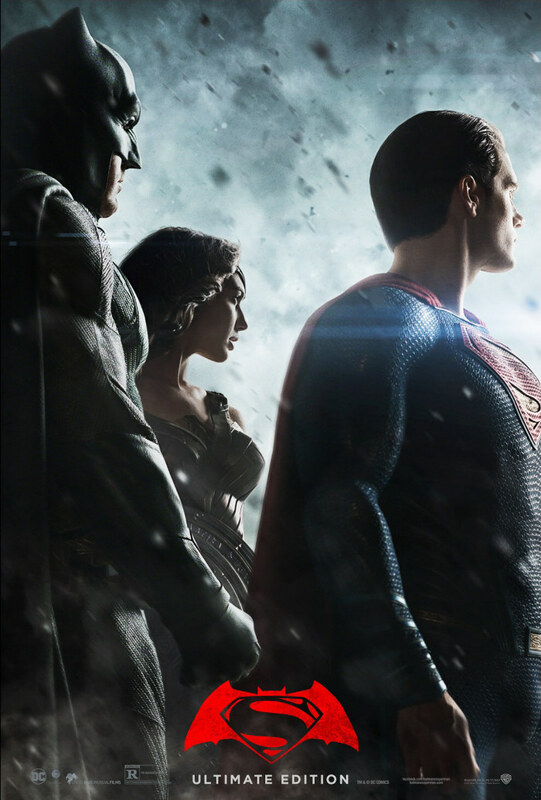 The image features Ben Affleck as Batman, Gal Gadot as Wonder Woman and Henry Cavill as Superman looking off into the distance as the dawn of the Justice League begins. Snyder started to direct Justice League around the same time he filmed Batman v. Superman but left due to a family emergency. The Batman v. Superman: Dawn of Justice Ultimate Edition is Snyder's original vision for the movie as it clocks in at 3 hours in length, which is 30 minutes more than the theatrical release. Likewise, Snyder's version of the Justice League movie would have been different and longer than its theatrical release as well. Zack Snyder's vision of the DC characters has led to a multi-billion dollar box office, which includes the recent James Wan-directed Aquaman that will reach a billion dollars on Saturday. It was Zack Snyder who cast Jason Momoa as Aquaman. "He had it all planned out," Momoa recently told the Toronto Sun. "He had the plan for Justice League. I really do believe that Cyborg and Wonder Woman, and all that has been shaped, is because of Zack. I'm definitely here and owe everything to that man because I wouldn't have been cast if not for him. I think that it was a genius idea to go in this direction with this character, and it's been an honor. I've had people from all over the world -- people from Argentina, people from Colombia, Singapore, Malaysia, Mexico, just all over, telling me 'How crazy and cool is this to have a brown-skinned superhero?'"